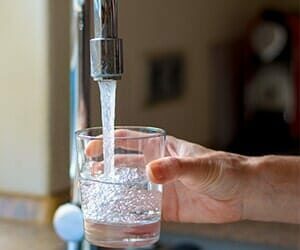 Advanced Environmental Water Systems Inc offers on-site services for your water softener or drinking water system to improve the quality of your water. With a water softener and/or reverse osmosis system in your home, you can have the quality of bottled water straight from the tap! Your water is vital for just about everything from cooking, showers, and washing dishes and clothes! Not sure of all the benefits quality water will give you and your family? Call Advanced Environmental Water Systems Inc today for more information and to have your water tested. 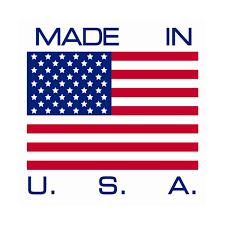 We are proud to feature high quality products made in the USA by Hague Quality Water International. Their commitment to quality and engineering superiority enables us to maintain our high standards of service. We manufacture all water treatment products in-house. Hague is the only company to do 100% full testing on all systems before shipment. We are one of the largest manufacturers of water treatment equipment in the world. Made in the USA! The only water treatment and water softening company that is owned, operated, and manufactures its products solely in America. These are the most honest and considerate business’ people I ever have deal with. They not only give you price and payment options but recommend the one that offers you the biggest savings. lt is a big pleasure to Mite this review for Don and his son Barry. I needed to replace my old water treatment system. They came on time yesterday and provided an unforgettable service. They worked very professionally, thoroughly and tidily. The charge was very reasonable. Other companies charge 3-5 times more Not only that – they are both very nice, decent people, and we had a great conversation together. Thank you so much for your business! You are Florida pride. Review by Liudmila P. in Orlando, FL Project: Install or Replace a Water Treatment & Purification System. lt is a big pleasure to Mite this review for Don and his son Barry. I needed to replace my old water treatment system. They came on time yesterday and provided an unforgettable service. They worked very professionally, thoroughly and tidily. The charge was very reasonable. Other companies charge 3-5 times more Not only that – they are both very nice, decent people, and we had a great conversation together. Thank you so much for your business! You are Florida pride.